Endeavour Silver has updated the PFS for its Terronera mine project. It reveals significantly higher revenues, free cashflow, mine life and NPV with significantly lower cash costs and all-in sustaining costs per silver ounce. Endeavour Silver (TSX:EDR,NYSE:EXK) has completed an updated prefeasibility study (PFS) for its Terronera mine project in Mexico, the company announced on Thursday (August 30). According to Endeavour, the updated PFS shows significantly higher revenues, free cash flow, mine life and net present value (NPV) with significantly lower cash costs and all-in sustaining costs per silver ounce. “Our efforts to optimize the Terronera mine project have resulted in significantly improved operating parameters and financial returns for this high grade, district scale exploration and mining project,” stated Bradford Cook, CEO. “Multiple engineering trade-off studies and the incorporation of the very high grade La Luz vein mineral resources and reserves into the 2018 PFS in particular helped to improve the outlook for Terronera compared to the 2017 PFS,” he added. The PFS projects higher annual gold production and slightly lower annual silver production for the same annual silver equivalent production, generating a higher internal rate of return at a moderately lower daily throughput, slightly higher capital investment and lower silver price compared to the 2017 PFS. The company noted that silver equivalent probable mineral reserves increased 32 percent to 59.5 million ounces, indicated mineral resources increased 23 percent to 60 million ounces and inferred mineral resources increased 55 percent to 14.8 million. Endeavour stated that the higher mineral reserve and resource estimates will support a life of mine (LOM) of 9.5 years with average annual production to be around 5.1 million silver equivalent ounces in phase 2. 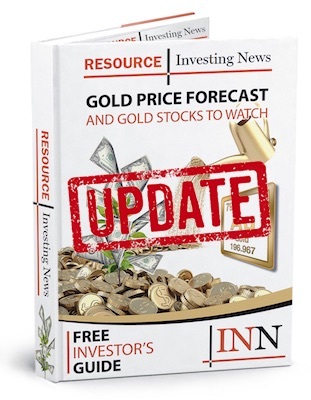 “Of special note are the estimated operating costs, expected to be amongst the lowest in the silver mining sector, providing Endeavour with solid free cash flow and a very positive impact on consolidated operating costs,” Cook noted. Endeavour stated that the plant has faced excess clay in ore and higher-than-normal precipitation during the past two months, which led to the decision to temporarily halt operations in order to allow the tailings area to be dewatered and clay removed for improved drainage. In 2017, the miner spent US$1.9 million on exploration mapping, sampling and drilling on the Terronera project, including 25 holes for 5,760 metres on the La Luz vein. The company plans to increase its 2018 drilling program in order to obtain better year-on-year results. “Our 2018 infill drilling program in the deeper parts of the Terronera vein is generating better than anticipated results and additional engineering studies are underway to further optimize the project,” said Cook. The mine is expected to generate LOM revenue of US$815.8 million, earnings before interest, taxes, depreciation and amortization of US$447.7 million and total free cash flow of US$193.2 million. Using a discount rate of 5 percent, the expected discounted NPV is US$117.8 million, the expected after tax internal rate of return is 23.5 percent and payback of capital is 5.4 years. As of 2:15 p.m. EST on Thursday, Endeavour Silver was up 1.70 percent, trading at C$2.99.